as part of a completely new free Angel Card deck, in March 2016. You can gain your angelic guidance as often as you want or need to. Join us at our Facebook GROUP to see more daily messages and many other angelically inspired daily posts. IMIKIMI and Mary Jac's words inspired by angelic guidance/inspiration. 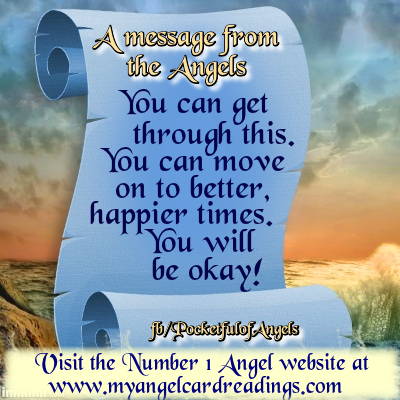 These messages are, therefore � My Angel Card Readings/Mary Jac. This image is free and available for personal use, or for sharing on social networks (with no alterations, thank you). do NOT alter it in any way, or remove/obliterate/mask/crop this website's or the 'fb/PocketfulofAngels' url/details when doing so.